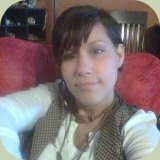 Georgieann Lilgreen is a periodic guest teacher at Alderleaf and she has written articles for the Alderleaf website. Georgie is certified in permaculture design and holds a Level II Track & Sign Certificate through CyberTracker Conservation. 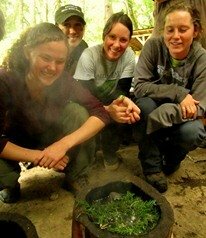 Georgie’s passion is in ethnobotany, survival skills, and teaching others how to be good stewards of the land. She is a Tlingit Indian, born in Ketchikan, Alaska, and belongs to the Saxman Tribe. She was raised in the Haida village of Kasaan on Prince of Wales Island. There were no stores, hospitals, roads, or even electricity. Living off the land was the way of life. She was taught how to use what was available to her and watched her elders use plants for food and medicine. Georgie still prefers to live off the land as much as possible today. She is a graduate of both the Alderleaf Wilderness Certification Program and the Wilderness Instructor Apprenticeship, and loves the outdoors.